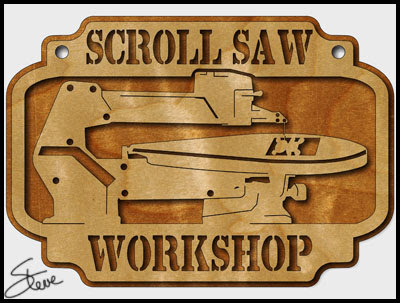 Workshop Sign Scroll Saw Pattern. This workshop sign is ~15 inches wide and 10 inches tall. Most of the time we are making projects for others. Here is a workshop sign you can make for yourself to hang in your shop. 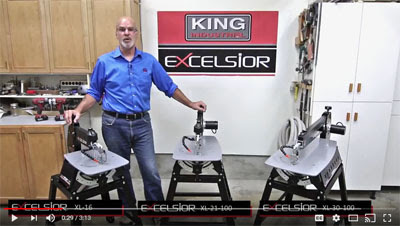 Scott Phillips Introduces the King Scroll Saws at Woodcraft. 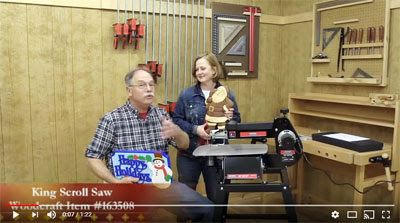 Scott and Suzy Phillips from The American Woodshop television show introduce the King Scroll saw now being sold at Woodcraft stores. 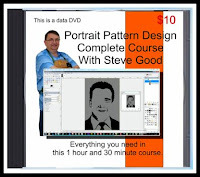 This is not a review as much as it is an introduction. 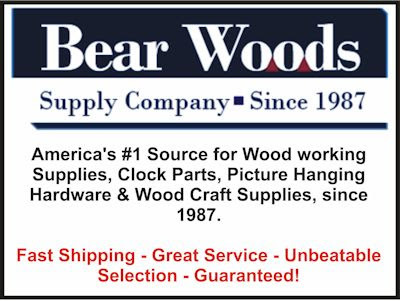 Woodcraft has been selling the 16" and the 30" King Canada scroll saws for several weeks now. These are manufactured by the same Taiwanese company who produced the Excalibur models for sale in the U.S. When the Excalibur stopped being sold here in the states the King scroll saw was an obvious replacement. I spoke with one of the marketing people recently about the reasoning behind not selling the 21 inch model in the U.S. It is simply a contractual obligations they are under not to sell the 21" at this time. I spent a few minutes with the 16" King scroll saw this weekend. There is not much to say other than it is identical the the Excalibur in most every way. The Excalibur was a great machine so you can expect the same from the King version. The 16" version sells for $599.99. The 30" model is $899.99. Affiliate links. Very few scrollers need a 30" throat scroll saw. If you are one of those who do you already know it. The 16" King scroll saw will cut 95% of all the patterns you see on my blog. Maybe more. Just make sure you think through what you believe you will want to cut before you decide on a 16" scroll saw over a 21" model. 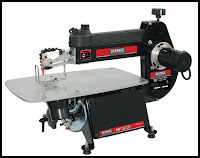 If you are confident that the 16" model will meet your future needs then this is a well made saw. It is sold through Woodcraft so you can have confidence in out of the box support. What I don't know about is long term support. My limited research on King Canada does not raise any red flags. 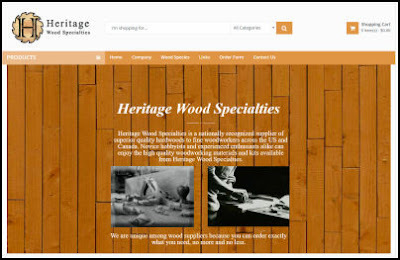 They have been in business for several years and sell a full line of tools, many of which seem to be re-branded products. Google reviews are mixed but that is common. The complaints on Google reviews were acknowledged by King but of course I don't know the outcome. I have never received any feedback about King Canada either good or bad from my readers. That is usually a good thing but if you are reading this and have a story let me know. I generally won't share horror stories because I cannot always get both sides. I do keep the information and that helps me make a more informed opinion over time. With the limited knowledge I have now I think this would be a good mid range saw as long as the 16" throat is not a problem. I probably will not try to get machine to review because it is just too similar to the Excalibur which I have reviewed. Here is a promotional video from King Canada showing the Canadian version of these machines. They are sold as the Excelsior line of products in Canada. 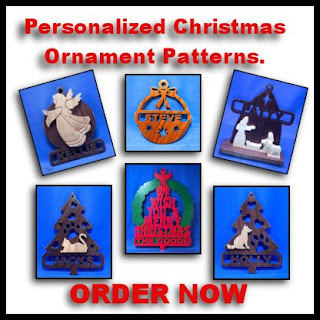 There is still plenty of time to cut Personalized Christmas Ornaments.